5 Better-Than- Blogging Work at home Jobs! If you’re not a blogger but you’re looking for a way to make money online, I have good news for you! Blogging is not the only way to make 6 figures online! And quite honestly, blogging is definitely not the easiest way to make money online! It seems a bit Ironic to be writing a blog post about not becoming a blogger. When I started my blog, I had my mind made up that I would help make it possible for moms everywhere to STAY AT HOME! And the truth is, blogging just isn’t for everyone! Now don’t get me wrong, If you’re a creative and organized person who thrives on multi-tasking, learning and running a multi-faceted business model while simultaneously creating inspirational and useful content… then by all means… START A BLOG! The world can not get enough good content. 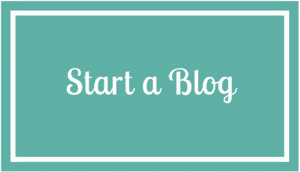 But if you’ve considered starting a blog as an easy way to make money… run away, as fast as you can! The last thing the internet needs is another Get Rich Quick blogger who suggests products and services they know NOTHING about. Instead, try one of the following ideas and start making money fast with a lot less hassle! I’ve always been so intrigued by these websites! This would honestly be one of the fastest and easiest ways to start making a profit online! Without realizing it, you’ve probably seen these product hanging around since you were a child. Back then, you needed a large marketing and buying budget in order to have a one product wonder. Remember blo-pens? Or how about the be-dazzler? Even though these companies may have gone on to offer more products, they focused on just one product at a time. Today, this is even easier than ever! With easy access to Private label product (Products made with a label of your choice) through websites like Salehoo and easy social marketing through Facebook, Instagram and Pinterest… you can market a one-product wonder in a way that makes those cheesy infomercials look like the junk they were! Scroll through Pinterest today and pay attention to the PROMOTED pins. Most of these are from a company who chose one product and offers a commission to others (like bloggers) to market it for them! Ahh, the great wide world of e-commerce. This too is a spin on old-school methods! At one time, in order to open a store, you needed hundreds of thousands (or perhaps even millions) of dollars backing you. Start-up costs included a location, stock, display shelving, employee salaries, etc. Now, you can start an online store with literally nothing. Most online ecommerce services offer free trials to get you started. Even better, the concept of drop shipping allows you to sell products that you don’t actually possess! However, if you do have a little bit of money available to you and you are wanting to accelerate the process, I would personally suggest trying FBA through Amazon. Along the Same Lines as drop-shipping and one product wonders, is the idea of becoming a Pinterest Affiliate Marketer. This is a lot like blogging without the hassle of content creation and social media moderation. Basically, it narrows your focus to Pinterest only and allows you to gain a following on one platform rather than multiple platforms at the same time (like a blogger would need to do). Then, you apply for affiliate programs and begin promoting products through your Pinterest account. This is quite lucrative and can produce well into 6 figures yearly if done right. As with any job, there is a learning curve! Christina Root over at Organize Your Biz offers some great courses/e-books on this! You can also find less expensive courses on Udemy, but I can’t speak for the quality! If you have a sought-after skill and you like to help people… This could be the one for you! Coaches/ Consultants often make 6 figure salaries and get to help the greater good at the same time! People hire consultants for everything from starting a business or writing a book to losing weight or going gluten-free! And the best news? Throwing together a good website or lead page is all you really need to get started! Don’t get me wrong… there will be more work involved! You will need to put your program together, gain followers and be a consistent presence for your “students” but the start-up on this type of business is quicker and more inexpensive than other options! Although I haven’t done a deep dive into this business myself, I wanted to give you someplace to get started. You can check out this free course on Udemy for a good jumping off point. If you tend to be more of a follower than a leader but you don’t like the minimum wage telemarketing jobs available online, then consider “starting a business” as a virtual assistant or a copywriter! You will manage your own work schedule but you your tasks will be given to you for completion. No wasted time figuring out what the next step should be. You simply take your list of tasks, complete them and get paid. 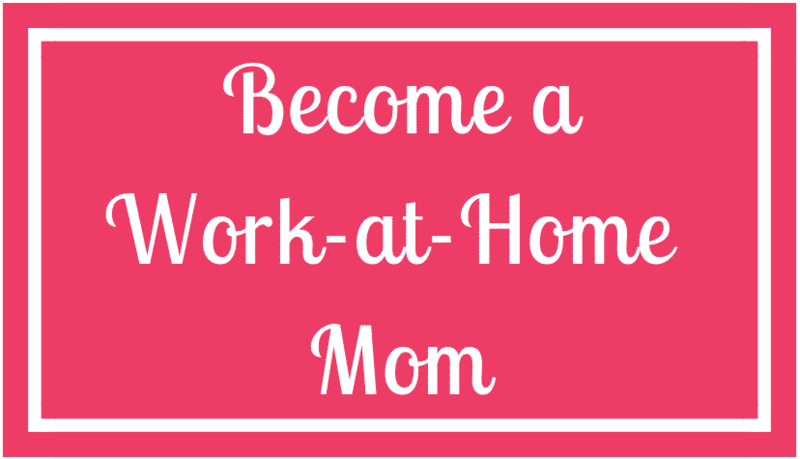 If you’re more interested in the organization and variety of being an at-home administrative assistant then Check out the courses offered at The Work at Home Wife for more information! NOT SURE WHICH JOB WILL FLOAT YOUR BOAT? Starting an online business can be a bit overwhelming, but it’s attainable, which is something that wasn’t always so true! So what are you waiting for? Yes, you will probably make some mistakes, regret some decisions, lose some money. But that’s all apart of the journey to the top, the sooner you accept that the sooner you will be on your way to the top. You don’t have to make the right move today.. just make a move today.